Texas Game Wardens have watched over the lands, waters, wildlife and people of Texas for more than 100 years. Every year Texas Game Wardens patrol over 10 million miles by vehicle and 130,000 hours by boat, facing challenges as unique as the 254 counties they serve. 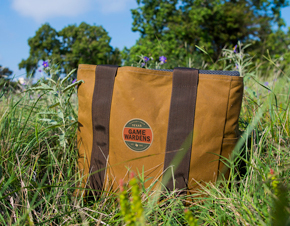 That’s why a group of dedicated citizens is partnering with Texas Parks and Wildlife Foundation to launch Gear Up for Game Wardens. The program will raise private funds to ensure that Texas’ 550 game wardens have access to specialized equipment beyond their standard issue gear. While the state provides the basic necessities for wardens to do their jobs, there is still a critical need for additional equipment across the state.